The upholstery of the RA 1.15 is made of pure, ecofriendly aniline leather. 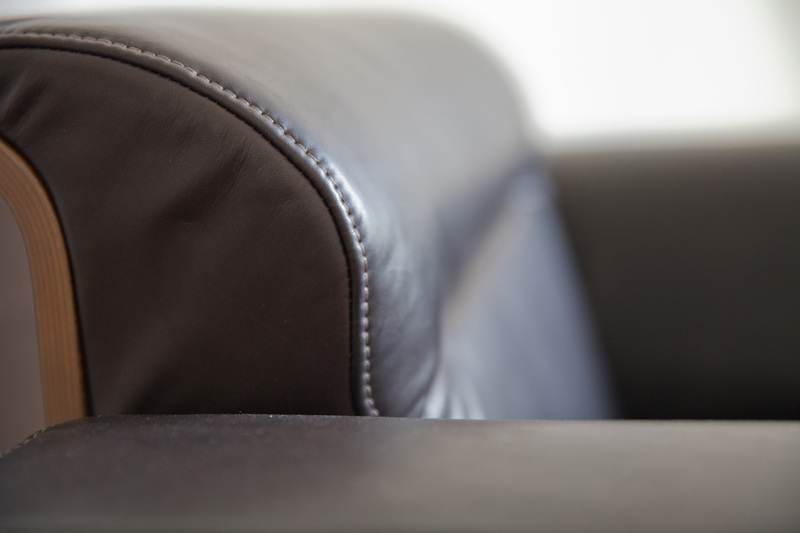 This leather has a characteristic smooth and soft touch. The natural leather boasts a particularly high breathability and comfort. This aniline leather is dyed in a barrel where the transparent dyes penetrate the material and color the skin. No artificial pigments are applied to the surface. By doing so, the skin pores remain open and preserve natural features such as thorns, cracks, and insect bites. These characteristic features attest to the authenticity and high quality of this type of leather. 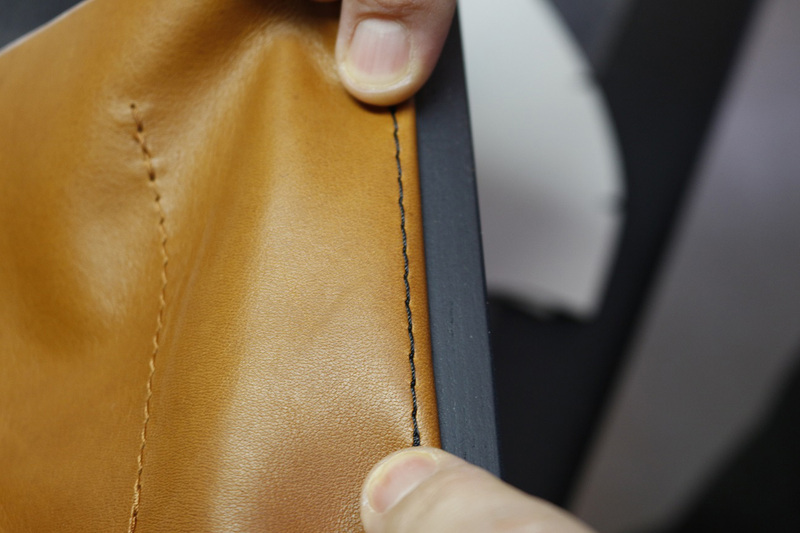 You can choose different leather colors and determine the color of the seams. On request, we also manufacture in semi aniline leather.